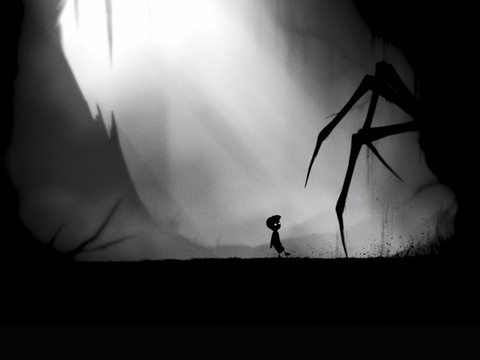 Endless acres of coverage have been written about Limbo since its original console release back in 2010. This startlingly bleak 2D puzzle platformer captured the imaginations of everyone who experienced it, thanks to its unusually grim visuals and premise, clever puzzle design, and encounters capable of putting even the most seasoned gamer's heart into their mouth. As it was with the original game, the introduction here remains minimal, and you're silently encouraged to coax life out of the nameless child protagonist lying prone on the floor. A little fumbling around soon reveals a reasonably intuitive control system that power exploration of the game. Hold your finger down on the screen before swiping left or right and you'll send the boy off in that direction, while objects in the world can be moved and manipulated by holding down on the screen whenever he's in close proximity to one of them. On the brief but beautiful journey you'll enjoy in Limbo, you'll encounter puzzles that range from simply jumping over spike pits using an upward flick, to pulling traps into a position where they can be used to destroy a deadly enemy. There are also gentle physics puzzling elements that require you to seesaw broken branches into position, roll boulders through the landscape, or negotiate watery traps using floating platforms. There's an uneasy sense of danger at any turn, but the game's generous restart system ensures that your many, inevitable deaths remain informative rather than frustrating. It's not just the journey and the puzzles that have remained intact here, though. Most importantly, nothing about the original game's feverishly bleak visuals and haunting ambient audio work has been lost in translation. Despite it's overwhelmingly gray palette, Limbo remains a beautifully grim work of art - one that shines particularly brightly on a Retina display. Parents should be aware, however, that the game's themes, puzzles and brutal deaths can be chilling enough that it should remain well out of younger gamer's hands. Is this touchscreen Limbo a perfect port of the original masterpiece? Not quite, and there are certainly moments where you'll cry out for the precision that only a physical controller can provide. Still, these moments are rare enough to ensure that this mobile version remains nothing less than outstanding overall. 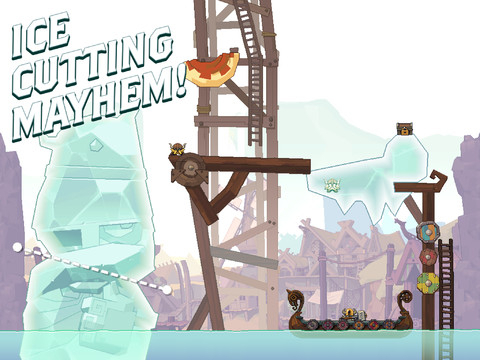 What's Hot:Overall, a tremendous port of one of indie gaming's brightest gems. What's Not:You will fumble occasionally with the touchscreen controls.